Former Miss America Gretchen Carlson, who anchored at Fort Worth-based KXAS-TV from 1999 to 2000 before joining CBS News, has filed a blistering sexual harassment lawsuit against Fox News Channel chairman and CEO Roger Ailes, who hired her in 2005 and fired her on June 23rd of this year. She claims it was because she refused Ailes’ persistent sexual advances. “In further retaliation for her refusal to accede to sexual harassment,” Ailes fired Carlson from Fox & Friends in 2013 and reassigned her to a less visible 2 to 3 p.m. (ET) slot at lower pay, the suit contends. 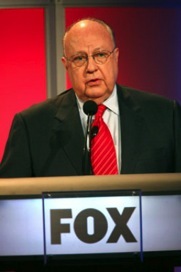 The complete text of Carlson’s lawsuit against Ailes can be found here.